Sarma comes from Turkish language, from the verb sarmak which means 'to wrap' or 'to roll'. 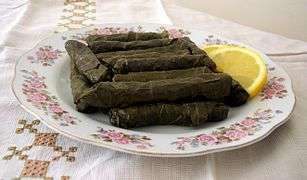 Yaprak sarma (grape leaves with meat) is sometimes called yaprak dolması 'filled leaf' or simply dolma 'stuffed thing'; although dolma strictly speaking applies to stuffed vegetables, it is often conflated with sarma. Yaprak sarma without meat (grape leaves filled with rice flavoured with pine nuts, currants and spices) is usually called yalancı dolma" 'fake dolma'. Minced meat (usually beef, pork, veal, or a combination thereof, but also lamb, goat, sausage and various fowl meat such as duck and goose), rice, onions, and various spices, including salt, pepper and various local herbs are mixed together and then rolled into large plant leaves, which may be cabbage (fresh or pickled), chard, sorrel, vine leaf (fresh or pickled) or broadleaf plantain leaves. The combination is then boiled for several hours. While specific recipes vary across the region, it is uniformly recognized that the best cooking method is slow boiling in large clay pots. A special ingredient, flour browned in fat (called rântaş in Romania, where it may also contain finely chopped onion, or ajmpren in Slovenian), is often added at the end of the process. Other flavors include cherry tree leaves in some locations; other recipes require the use of pork fat—there are innumerable variations across the region. Vegetarian options as well as those made with fish exist. 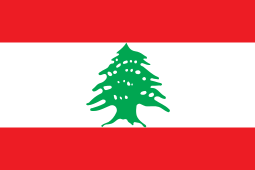 In Iraq, Jordan, Lebanon, Palestine and Syria, Sarma is known as waraq 'inab. The preparation remains the same as in Greek and Turkish cuisines - Grape leaves are harvested and wrapped around minced lamb along with onions and rice, cooked in olive oil. Waraq 'inab are very labor-intensive, and are served as a mezze to larger plates at family banquets. In Bulgaria during the summer, Sarma are mostly made with vine leaves. The leaves can be pickled for winter use. The filling is made from stewed onion in oil, then fried with rice and all seasoned with salt and pepper. Almost always added carrot, maybe more mushrooms, cheese and more. Can be vegetarian or with meat. Often finished leaves are covered with yogurt - clean or seasoned with crushed garlic and dill. Eaten as an appetizer or main dish. In autumn and winter, Sarma are more often made with leaves of fresh or pickled cabbage - stuffed cabbage. Filling is almost always meat - pork or mixed (pork and beef) minced or chopped meat. Sarma are boiled in a mixture of cabbage soup and water. It is possible to subsequently to bake them with "White sauce" - a dense mixture of liquid from boiling, yogurt, egg and flour. Due to the large size (80-100 g of sarma) serves only as a main dish. There is also a version with the same ingredients stuffed into cabbage leaves. Cooked with cut pieces of cabbage leaves, they are highly fragmented and are not suitable for turning ordinary cabbage leaves stuffed or when sawing is before canning for faster fermentation. Instead of vine or cabbage leaves could be used also the leaves of sorrel, docks, spinach, mangold, beet leaves, etc. In Turkey, the "sarma" is considered a national food and generally used together with the word "zeytinyağlı" (with olive oil) for stuffed vine leaves (zeytinyağlı yaprak sarma), cabbage (zeytinyağlı lahana sarma), chard, or cherry leaves (kiraz yaprağı sarması) when the filling does not contain meat and the resulting dish is eaten cold. These sarmas filled with rice and cooked with olive oil also have currants, pine nuts, and herbs such as parsley, dried mint and dill, and spices including cinnamon, cumin, black pepper and sweet red pepper. 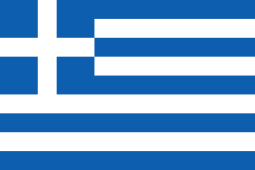 The "hot" sarmas, which usually contain minced beef or veal, onions, and a small amount of rice or bulgur, may interchangeably be called dolma. Hot sarma is often served with a garlic yogurt sauce, very common in the Turkish cuisine. Besides the savory dish of leaf-wrapped filling, sarma in Turkish cuisine can also refer to certain sweet pastries such as saray sarma and fıstık sarma, which are prepared by wrapping a very thin, almost transparent dough layer (see pictures here) around a mixture of crushed nuts and syrup. In Serbia sarma is cooked by using sour cabbage leaves, ground meat, rice and seasonings. Sarma rolls are slowly simmered for a long time in large pots with lard and layers of smoked pork, seasoned with vegetable seasoning, bay leaves and paprika. Some family recipes include finishing sarma by baking it in an oven which gives it distinctive flavor. Sarma is one of the staple meals for festive occasions like Christmas, New Year, Easter, birthdays, family saint patron's day (slava) etc. Also, there are various Serbian recipes of sarma prepared in accordance to Orthodox Christian religious restrictions on using meat and animal fat during period of Lent. Lenten sarma is usually stuffed with rice, shredded carrots, onions, seasonings, occasionally walnuts or even chunks of smoked fish, and cooked in water and vegetable oil. Although it can be eaten with bread, it's usually served with proja (corn bread), preferably still hot. Besides cabbage, grape leaves are also used to prepare sarma. Monk's rhubarb sarma is often prepared for Easter. In much of Croatia, sarma is identical to the Serbian type, and includes rice and minced meat, as well as dried smoked beef. In the more remote and mountainous Dalmatian region of Croatia, there is a special subtype known as arambašići, named after Turkish word for Serbian rebel leaders — harambaše. The stuffing of arambašići does not include rice, the meat is diced (rather than minced), and spices include lemon, cinnamon, cloves and muscat nuts. 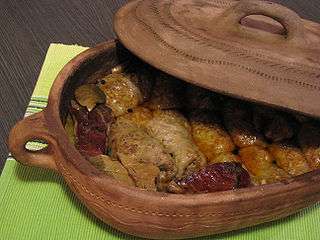 Unlike that of predominantly Muslim regions, sarma in Croatia is cooked in a pot with dry pork, prosciutto bone or sausages. It is traditionally served on New Year's Eve and weddings. In Macedonia Sarma is traditionally prepared with cabbage leaves. Either fresh in the summer or conserved ones in the winter period. A mixture of rice and mince meat is rolled in the leaves and boiled in a pot until the rice is ready. After that the cabbage rolls are placed in a pan, and filled with mixture of flour and water and baked. In most families for the Christmas eve dinner, because of the fasting period, the Sarma is prepared with walnuts instead of meat. Unlike other Eastern European cultures, the people of Southeastern Europe overwhelmingly use sour cabbage as opposed to fresh cabbage. At the end of the autumn, families traditionally prepare the sour cabbage (as whole cabbage, or as individual leaves, but not shredded) for sarma-making. In the Romanian cuisine, sarmale is a national dish, and may use cabbage leaves, young leaves of grapes, or patience dock (Rumex patientia), or coltsfoot (Tussilago farfara) as wrapping. Sarma is normally a heavy dish (though families are increasingly substituting the traditional pork fat with olive oil or other oils), thus are usually eaten during winter. 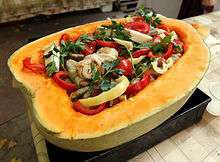 Traditionally they are served along with polenta or potatoes, which are sometimes mashed. Other optional additions include sour cream, yogurt and horseradish. Cabbage rolls served in tomato sauce, though common in North America, are much less common in Southeastern Europe. Unlike its Polish (Gołąbki) or Ukrainian equivalents, the filling is predominantly meat, as opposed to rice—in fact, it is only in recent times that rice has been added to sarma. Originally sarma was made with barley or, in dire times of poor barley crops, with buckwheat. In Slovenia, Bosnia and Herzegovina, Croatia, Hungary, Serbia, Montenegro, Armenia, Bulgaria, Republic of Macedonia, Romania and Moldova, sarmale is a traditional meal for Christmas and other religious holidays (in Serbia for slava and Easter, in Slovenia and Croatia for New Year's Day, and in Bosnia and Herzegovina for Eid ul-Fitr). In Romania and Moldova, sarmale is often served with sour cream, mamaliga, hot pepper and smoked meat. Traditionally, a pot filled with sarmale is usually prepared for an entire family. Sarma is often served as one of the main dishes during wedding ceremonies.